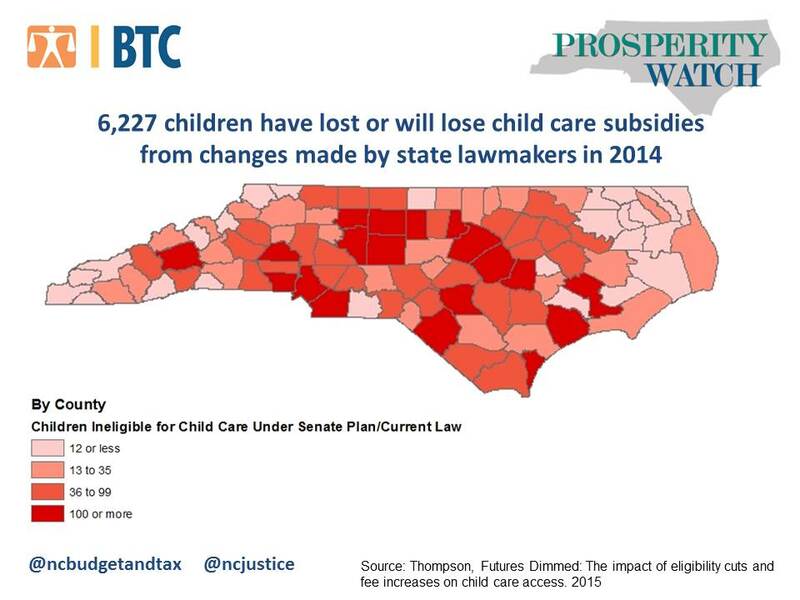 This post is part of a series on the budget featuring the voices of North Carolina experts on what our state needs to progress. Elizabeth Grace Brown is a student at UNC Chapel Hill and is the author of this piece. I’ve spent my entire educational life in North Carolina public schools, from kindergarten to today. My schools have always been excellent. I had good classroom sizes, dedicated and attentive teachers, and curricula rich in science, arts and literature. My schools strove to maintain a balance between supporting and challenging me. The guidance I received from teachers and faculty (and from my mother, who’s also a public school teacher in NC) led me to UNC Chapel Hill. But as I grew older and closer to graduation, I could already see that quality eroding. My elementary school’s magnet status was threatened, my high school had no books for us, teachers quit and students dropped out at alarming rates. I have benefited greatly from excellent public education, and budget cuts have put that education in jeopardy. And I spent my primary education believing that if I worked hard enough, I could graduate and get an affordable, world-class college education in my home state, too. That promise, if it was ever true, certainly seems less and less within my reach every day. Every time tuition is raised, by the Board of Governors at the urging of the legislature, I go more into debt. Policy makers seem like their concerns about student debt revolve around parents and families paying tuition, but that’s not the case – my loans are on me. Asking your parents for help paying for college is a luxury that’s already out of reach for so many North Carolina students. And I refuse to believe any longer that the increasing cost and declining quality of education in this state is something that these policy makers can’t help. Funding isn’t a just a question of allocating resources efficiently, it’s a question of values. And it’s clear that NC leadership doesn’t value education — not as much as they value tax cuts for the wealthy, or corporate subsidies. The most recent funding increases barely scratch the surface of the damage that’s been done under the guise of fiscal responsibility. Among this state’s politicians and leaders, talk of supporting education is plentiful – but talk is cheap. And the lip service they pay to the value of education is selective, too. They love fields that will bring more profit to the already wealthy: finance, business and STEM, but not one of the forty-six degree programs that the Board of Governors just decided to cut. They don’t care for us to become critical thinkers, to know our own histories and the histories of our marginalized communities, to grow as people. Steven Long of the Board of Governors made it clear when he said, regarding these program cuts: “We’re capitalists, and we have to look at what the demand is, and we have to respond to the demand.” They treat our education like it’s a commodity — but they still expect us to pay more for less! As an Economics major, as a student, as an organizer and as a North Carolinian, I can tell you plainly — this doesn’t make sense, and this can’t last. 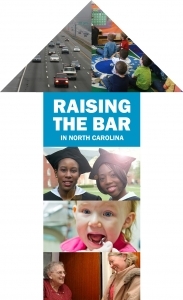 This post was written by Michael C. Behrent, associate professor of history, Appalachian State University and is part of the Raise the Bar series featuring expert views on the North Carolina budget debate. Affordable public education in North Carolina is a right. Our state constitution states that the legislature must ensure that “the benefits of The University of North Carolina and other public institutions of higher education, as far as practicable, be extended to the people of the State free of expense.” Yet today, free public education is little more than a distant memory. To make matters worse, our citizens find themselves in a college crunch: they are being asked to pay more and more for public universities that are providing less and less. According to the report, since 2008, tuition at North Carolina’s public universities has grown by 35.8% (or $1,759). The main reason? The 2008 recession, which cut the flow of tax dollars into state coffers at the very moment when many people were choosing college over a grim job market. As state funds dried up, most public universities turned to tuition hikes as an easy fix. As an exercise in reflecting the state’s priorities, the House budget falls short. North Carolinians know that ensuring our children’s education is of the highest quality, that our communities can thrive and that our public services—from courts to transportation to environmental inspections—are effective and efficient means committing to fund those things together. The House budget, like the Governor’s budget before it, assumes that the state can’t afford to invest. But our current availability is limited by policymakers’ own tax choices that reduce resources that support the foundations of an economy that will work for everyone. Policymakers already allowed a second round of tax cuts for profitable corporations and wealthy taxpayers go into effect in January and will cut taxes again for profitable corporations because revenue collections exceeded expectations and met the trigger for further tax cuts. Because the trigger threshold was set arbitrarily low, however, meeting the trigger does not reflect the realities of needs in our communities. This choice—to hold back the state from reinvesting by prioritizing tax cuts over building a stronger economy—means that there is a lot missing from the House budget. In light of the historic decline in revenues resulting from the recession and its aftermath, policymakers have effectively curbed the state’s ability to reinvest due to tax cuts. The result is missing investments that can mean the difference for children, families, businesses and communities in doing well in our state and the missed opportunity to grow our economy stronger and more competitive. State revenues are coming in $62 million under projection for the first three months of the fiscal year, according to the Fiscal Research Division’s (FRD) new General Fund Revenue Report. This report provides an assessment of revenue collection performance for the state on a quarterly basis and is particularly important considering the state’s inadequate and unsustainable budget (a point that has been fleshed out in this Budget and Tax Center’s blog series). The growing cost of the 2013 tax plan further challenges state lawmakers ability to rebuild what was lost in the aftermath of the Great Recession. Despite state revenues having not yet fully recovered from the downturn, lawmakers overhauled North Carolina’s tax code last year in a way that significantly reduced state revenue. In its first year of implementation, the tax plan is already costing far more than expected. Fiscal Research Division estimated that in FY2015, the plan would cost $512.8 million—but it is already costing $191 million more than that. By the end of the fiscal year, the revenue shortfall could reach as high as $600 million—for a total cost of the tax plan of more than $1.1 billion—according Institute on Taxation and Economic Policy estimates using up-to-date taxpayer data (see the chart below).